Comment: I would like a quote on a residential hydrogen sulfide/ bacteria removal system for a home in Freeport Maine. I have a test if you would like to look at it. I do not want a UV system. Chlorination would be better. The homeowners are elderly. Can you give me a quote? Portland Water Treatment Companies are rated 4.88 out of 5 based on 321 reviews of 8 pros. 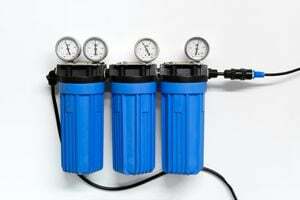 Not Looking for Water Treatment System Contractors in Portland, ME?